The region&rsquo;s landscape comprises of coastal plains, rolling hills, spectacular gorges, thick forests and rugged mountains. Residents of the beautiful Languedoc-Roussillon properties enjoy a year-round dry climate with mild winters and hot summers. Inhabited from prehistoric times, Languedoc-Roussillon was ruled by the Greeks, Romans, Visigoths and Spanish, before coming under French rule during the Middle Ages. The region is divided into five départements - Hérault, Gard, Aude, Lozère and Pyrénées-Orientales - each administered by a préfecture and sous-préfecture. Montpellier is the capital. 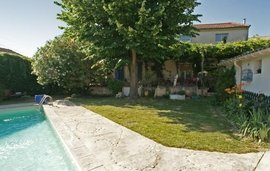 With an enviable lifestyle and wide choice of property styles, houses in Languedoc-Roussillon remain very popular. Nimes, with its Roman remains, Perpignan, celebrated for its vineyards and Carcassonne, a splendid walled city are just a few of Languedoc-Roussillon remarkable cities. In addition to a variety of Languedoc-Roussillon properties, the region boasts several world-renowned attractions, including the ruined Queribus-Cathar castle, stunning 13th century Narbonne cathedral and magnificent Grotte des Demoiselles (limestone caves). 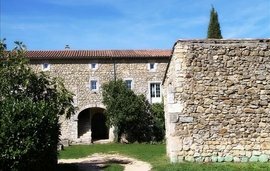 Discerning international property buyers can choose from ‘bastide’ style houses, stone built properties, mills ripe for renovating, to Languedoc-Roussillon holiday gites and the ever popular farmhouses. Lagresse, home to 14th century bridges and the gorgeous Abbey Saint Marie de Lagrasse, has traditional Languedoc-Roussillon stone houses and attractive Languedoc-Roussillon villas lining its cobbled streets. In Collioure, a wine-rich harbour town, you will find deluxe Languedoc-Roussillon holiday homes and stylish Languedoc-Roussillon townhouses overlooking the scenic harbour. Pretty Saint-Guilhem-le-Désert with its ruined Visigoth castle and leafy main square has elegant Languedoc-Roussillon houses and Languedoc-Roussillon apartments. Let us assist you in finding your perfect villa, apartment, holiday home or investment property in Languedoc-Roussillon, France. For more details, call us on + 44 (0) 207 870 7181 or contact our estate agents in France. Popular for its castles, excellent museums, delectable wines and cuisine, golfing, horse riding, sailing and wonderful music and dance festivals, Languedoc-Roussillon offers the residents of up market Languedoc-Roussillon properties a classy, active lifestyle. This region, famed for its sparkling wines and Bouzigues oysters hosts many annual events, including the unmissable Festa Major in Perpignan and Music and Medieval festivals in Carcassonne. Multiple international and domestic flights, first-rate regional buses and trams, high-speed trains and fine motorways make travelling easy for Languedoc-Roussillon residents. Pleasant climate and a stunning coastline which makes this region a hit with Australian, American, Far East and UK buyers. Rich heritage, outstanding vineyards and an impressive varied terrain. Sparkling wine and food lovers paradise. Winkworth France has a comprehensive portfolio of quality Languedoc-Roussillon properties and would be happy to help you buy or rent a Languedoc-Roussillon property. Contact us for your requirements.